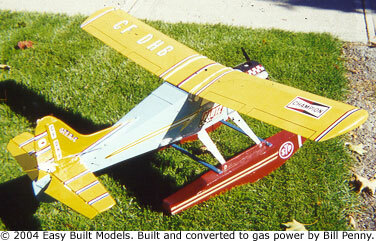 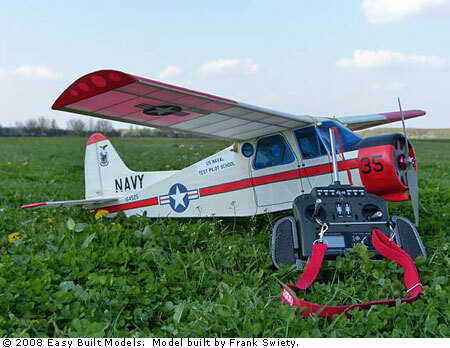 We are pleased to offer this redesign of the de Havilland Beaver remote control electric kit. 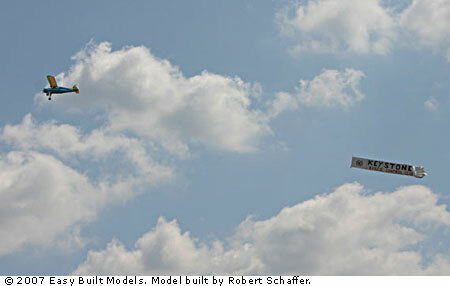 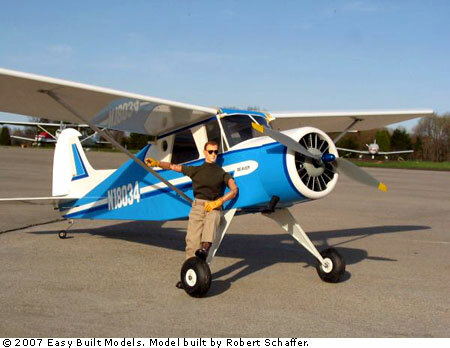 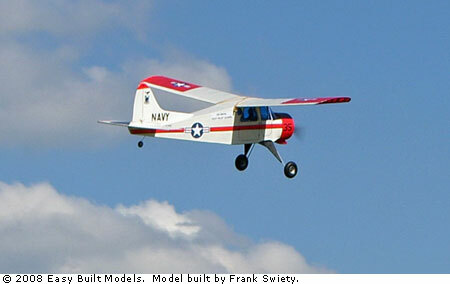 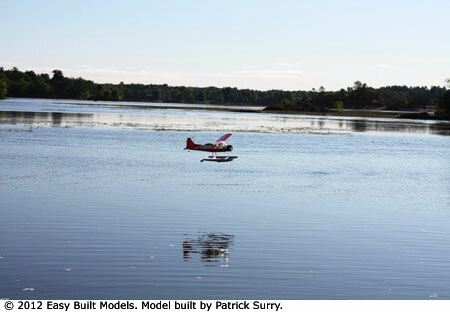 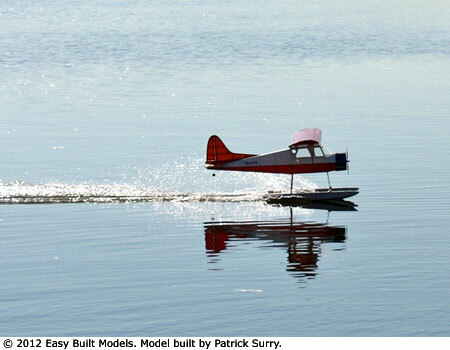 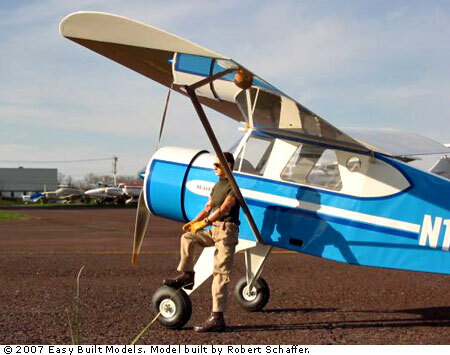 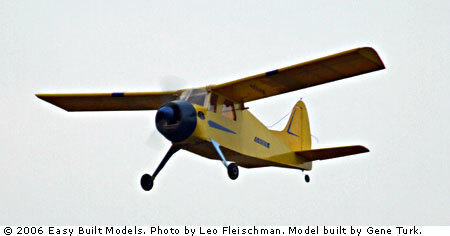 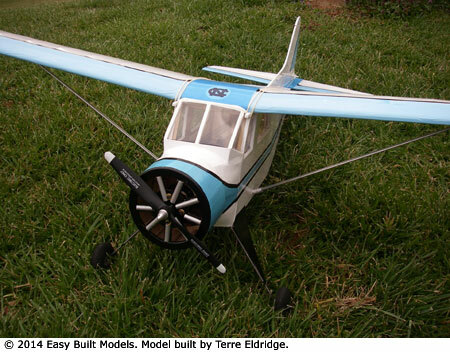 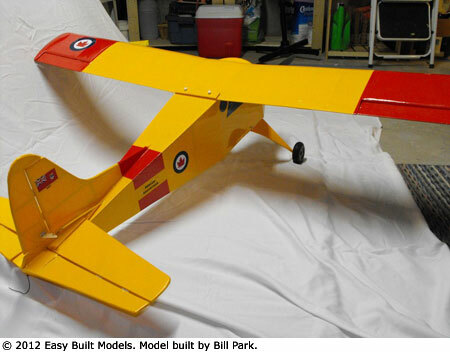 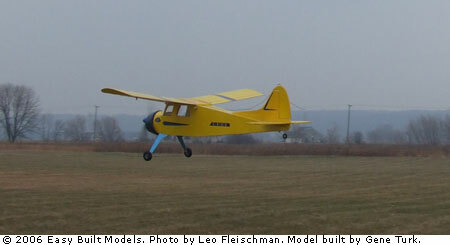 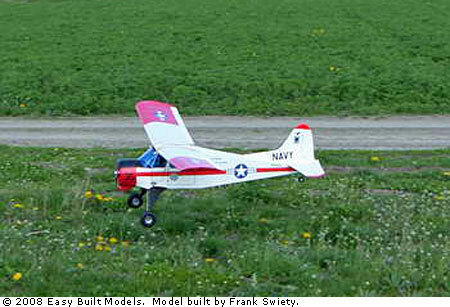 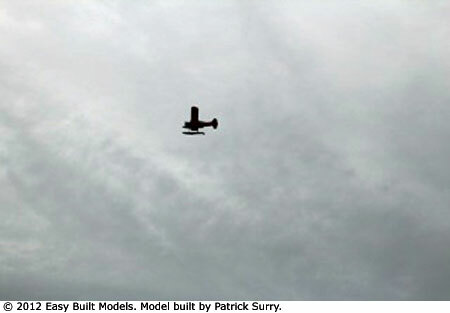 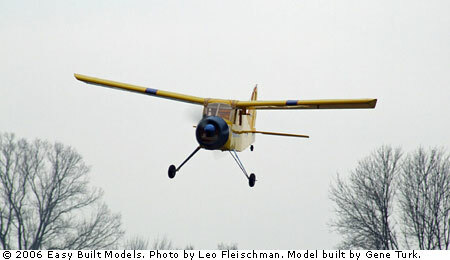 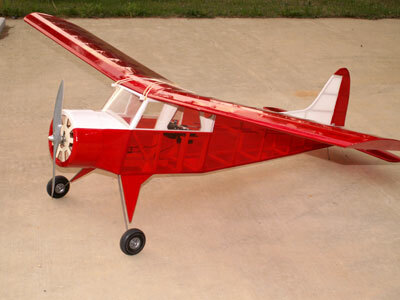 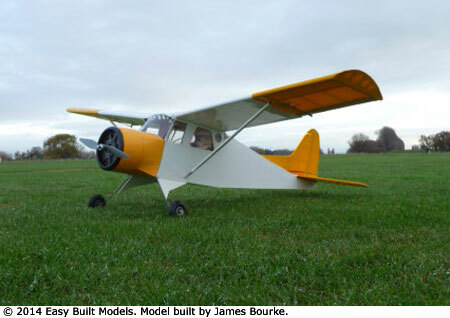 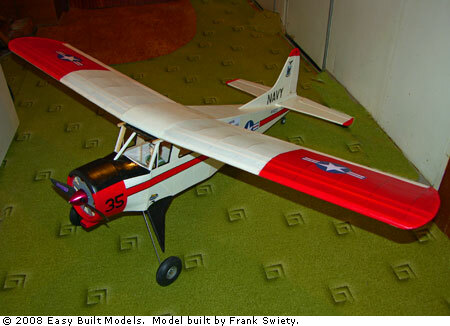 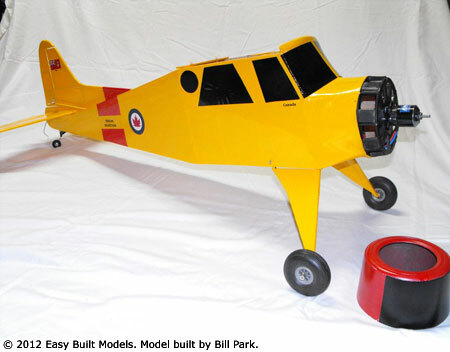 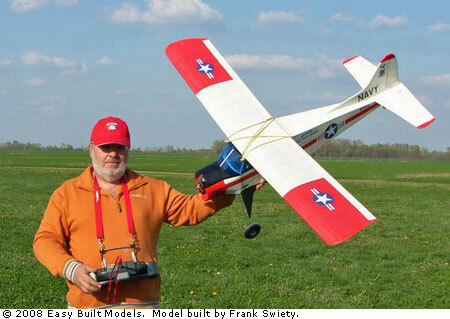 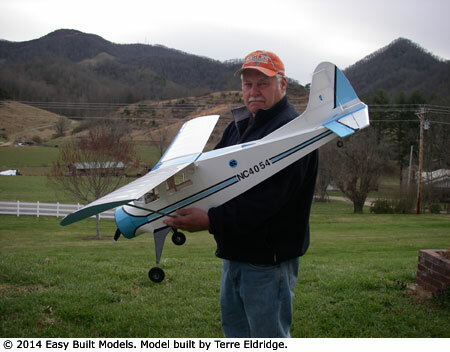 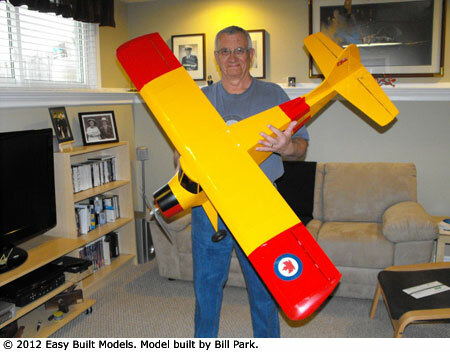 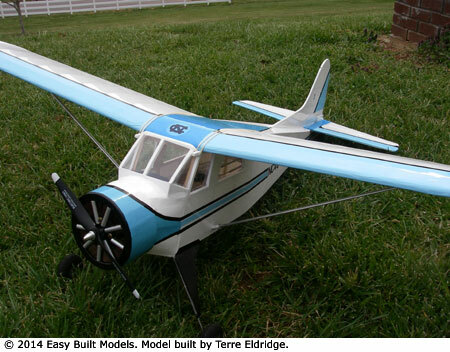 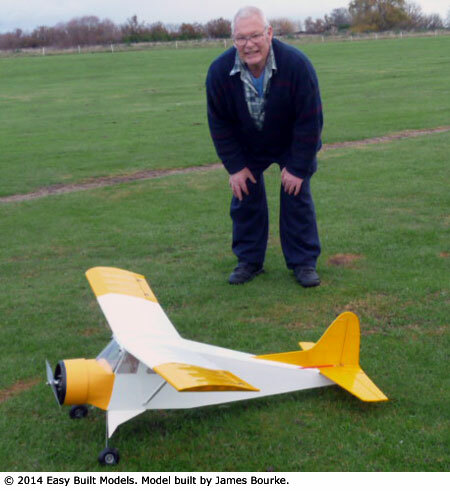 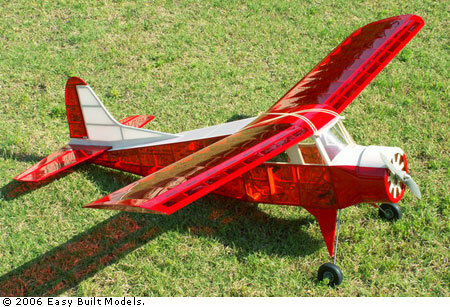 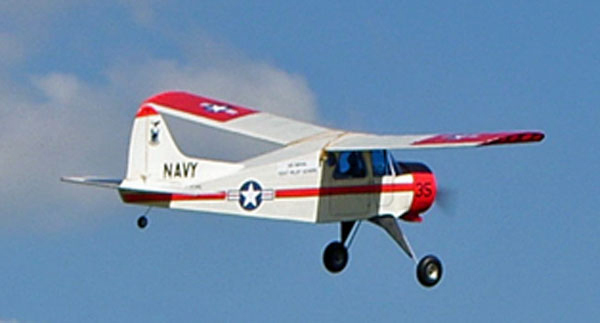 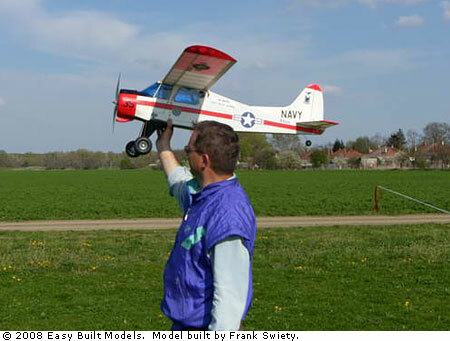 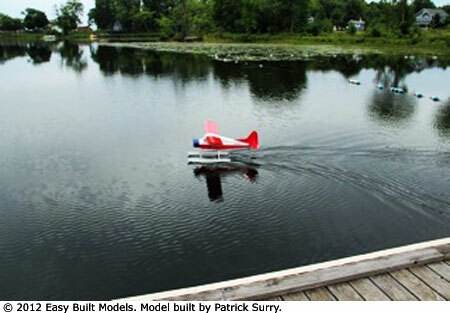 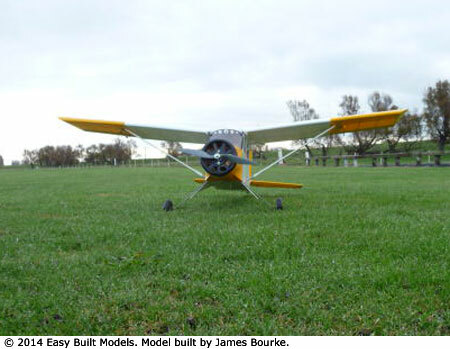 This model is a floater designed for the builder who loves easy construction and relaxing flying. 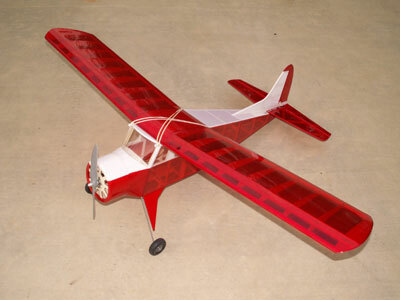 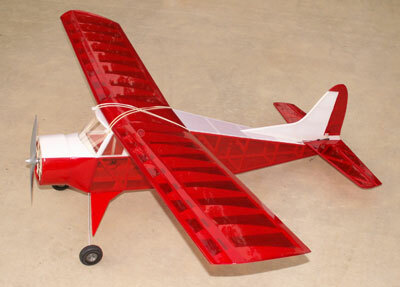 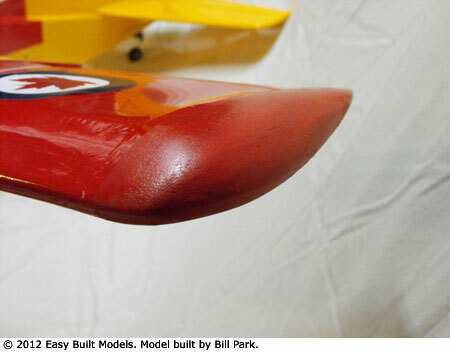 The 57" wingspan plane with 468 square inches is easy to transport with the removable wing. 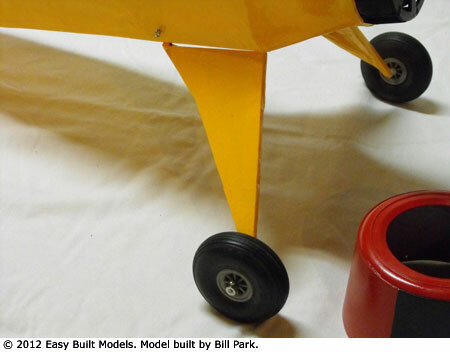 The covered plane weighs in at 25 ounces before adding the tires, radio gear, batteries and motor. 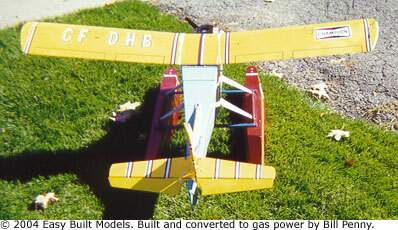 Modifications of this classic plane, made by individual builders, include conversion to gas power, or the addition of skis and floats. 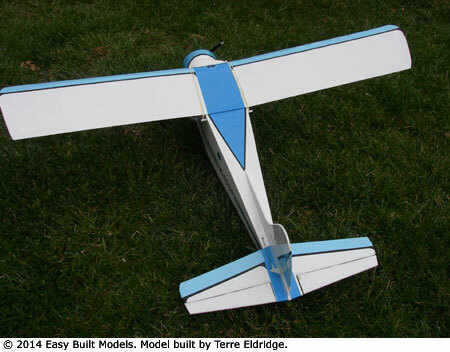 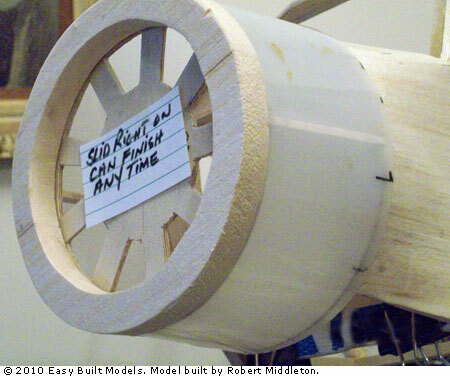 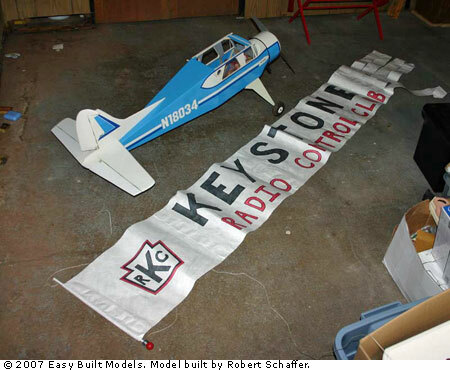 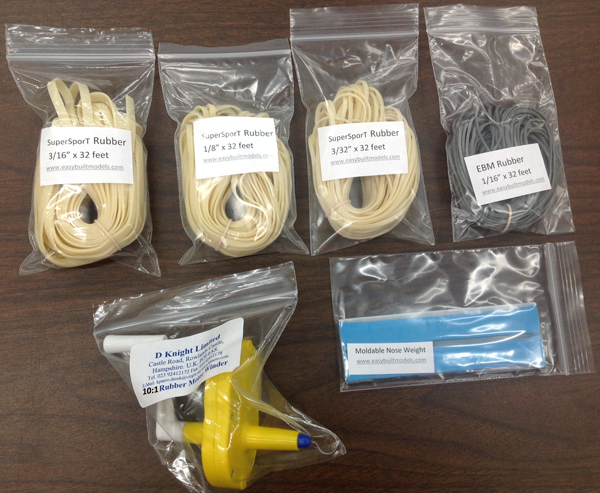 A simple 3 channel model to build and fly with rudder, elevator and throttle controls. 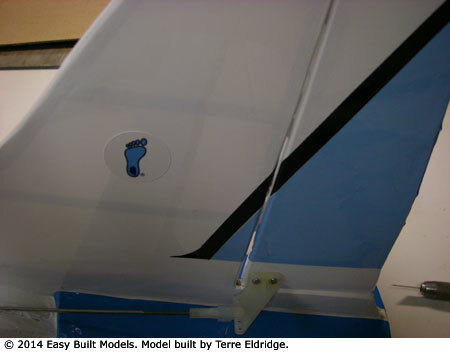 Designed by Steve Gray for the 05 Cobalt motor. 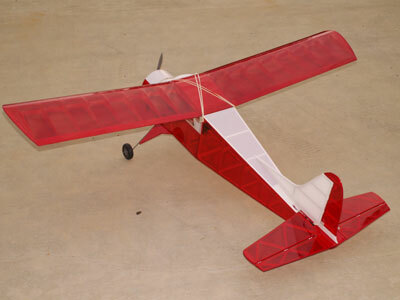 1:10 scale. 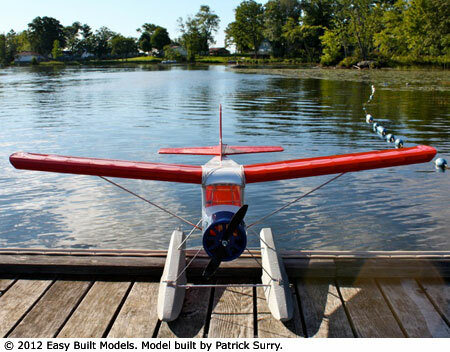 This R/C electric kit includes a full-size rolled plan step-by-step instructions in color, laser cut balsa and aircraft plywood parts, hand-picked strip balsa, basswood, control horns, hinges, screws, preformed landing gear wire, and clear plastic. 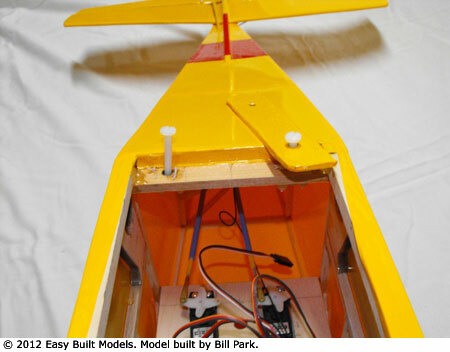 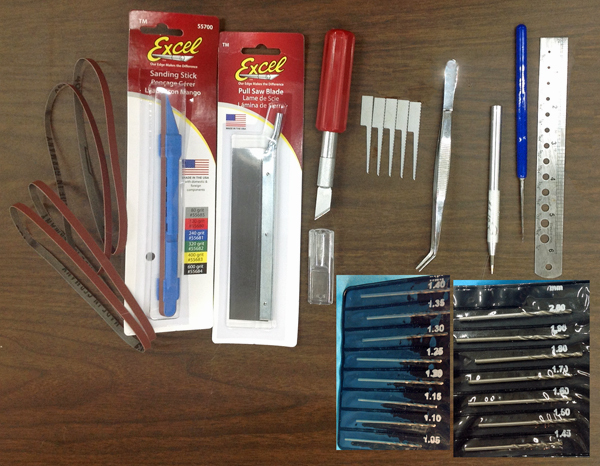 You will need an electric motor, radio control, cells, wheels, propeller, push rods, and covering material. 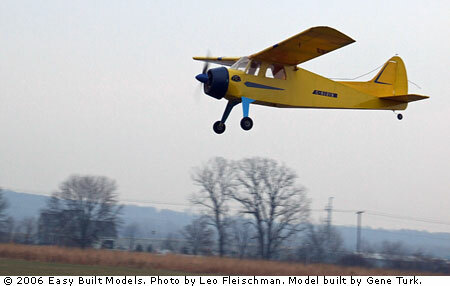 Built by Gene Turk, this Beaver is powered by a 600 brushed motor with a gear box. 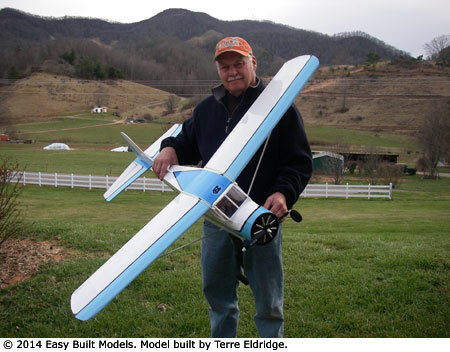 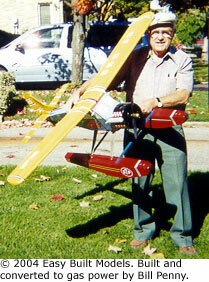 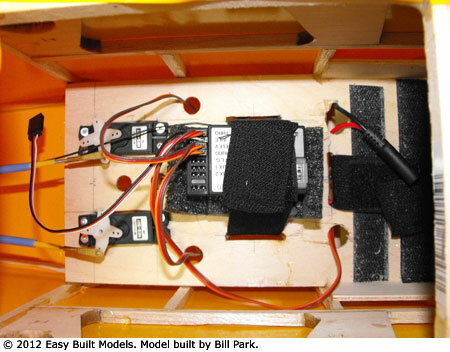 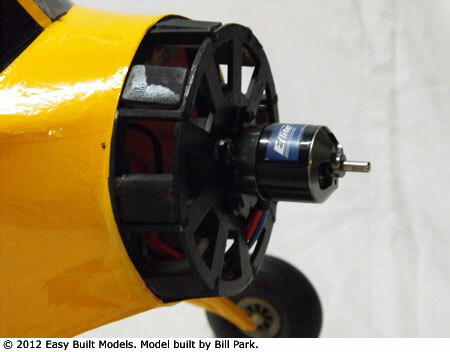 Gene Turk’s electric r/c building notes. 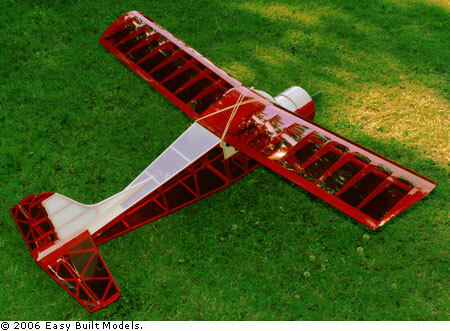 Gene Turk's building notes for his glow power conversion. 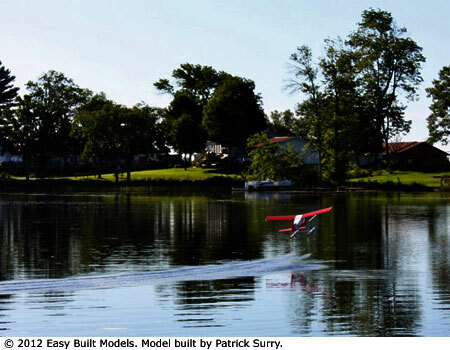 Read Patrick Surry's building notes. 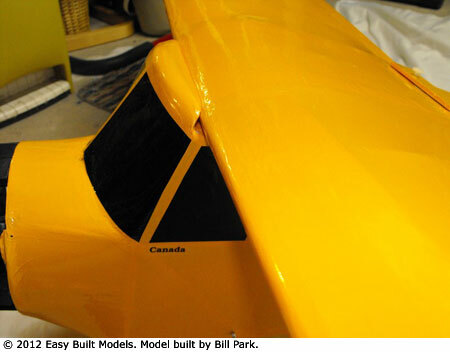 Bill Park's notes on building the Beaver.